Not everyone is as lucky as I am. Not everyone has two younger brothers who look up to big sis. But I do. My brother Mark is 8 years younger than me. Let's see - that makes him ummmmm 21. Right? Well, maybe not! But his birthday IS today and I hope he has a wonderful one. I actually have never used this die as a notebook edge. Every time I cut it, I fall in love with the negative part of it and use that. I guess I need to challenge myself to use it the way it was intended! 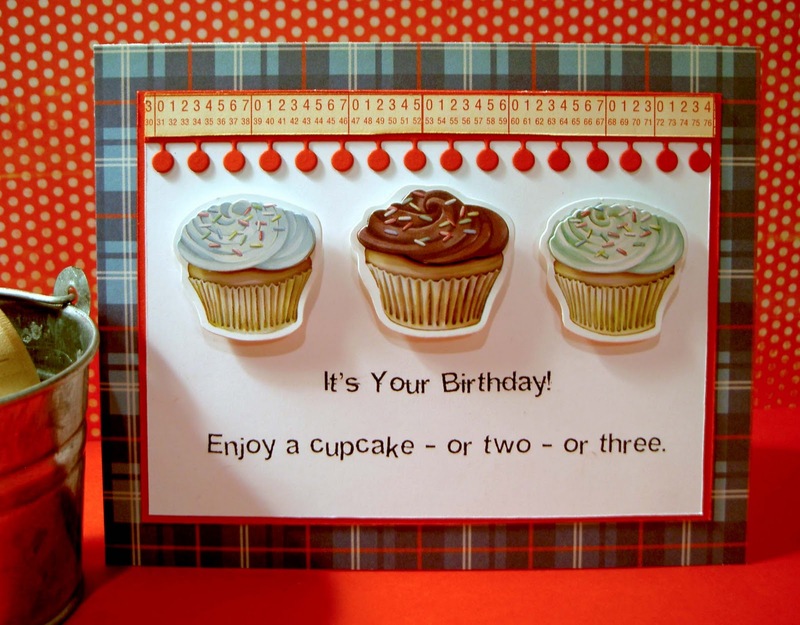 I hope you are having a happy day today (even if it's not YOUR birthday). Tomorrow I will be back with a sweet little pink card. 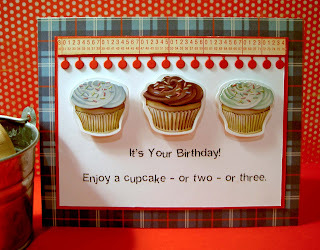 Hi Susie, I love the cupcake card, looks good enough to eat lol.. I am really looking forward to working with you on the DT..